A ‘second and half’ pillar for the self-employed? Project: A ‘second and half’ pillar for the self-employed? 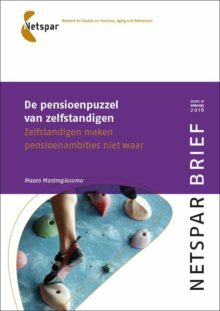 Read the full press release and the Netspar Brief (both only available in Dutch). Read the English summary here.